The Canon EOS R brings a mirrorless design along with the functionality of the new RF mount to the Canon line up. 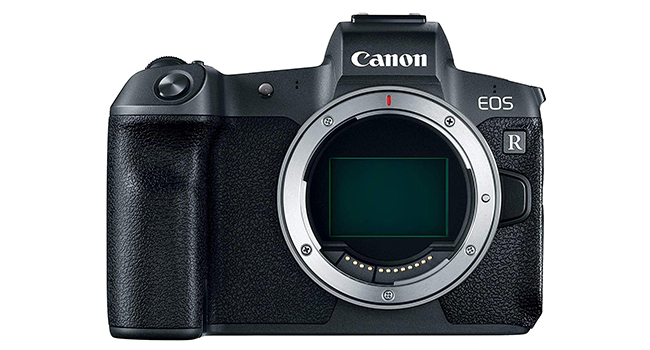 The ‘R’ label may have thrown Canon traditionalists a curveball, but it essentially means the same sensor as found in the 5D Mark IV, with the ability to take the new lineup of RF lenses. The new RF lens types should mean smaller lenses, with a better design in the long run meaning better image quality and faster transfer of data. 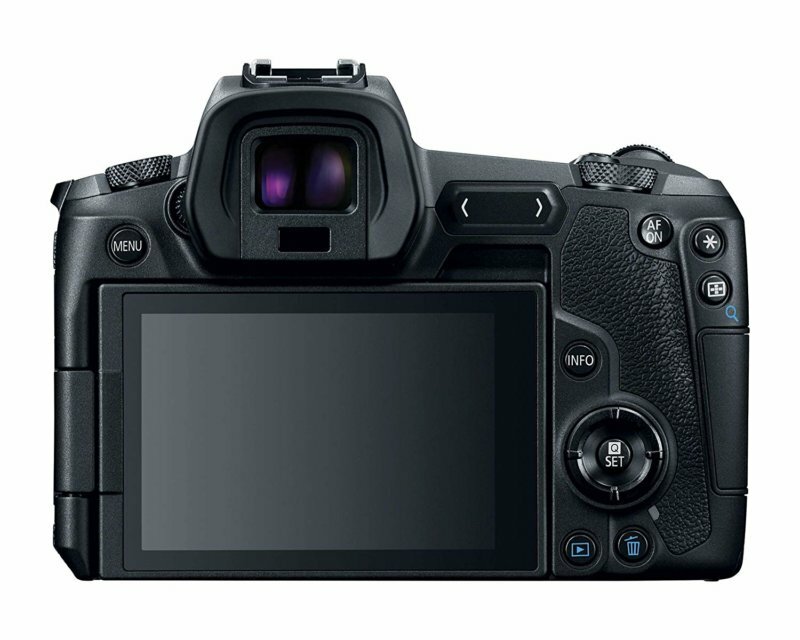 In reality, this all means that the functionality and quality found in the 5D Mark IV, 6D Mark II, and EOS M Series, but with a price tag more akin to the 6D. So, lighter body and lenses and equal quality to a 5D. Sounds like a good starting point. It’s not just the ‘R’ badging and the lens mount that is different than past Canon cameras. The new RF mount is the same width as the older EF mount at 54mm, but the depth has been reduced from 44mm to 20mm. There is also a 12-pin connection between body and lens. At this point, there is no consideration for EF-M lenses to fit the RF-mount. The body on this mirrorless design is very ergonomic, made from Magnesium alloy and with a lightweight body and lens. It feels initially like a full days shooting is going to be an easier ride than in the past. If you’re a long time Canon user, you’re used to the way things are laid out on a typical Canon DSLR, but now things have changed a little. Buttons are laid out in a logical format, but they will take a while to get used to. Weather sealing is apparently the same as on the 6D Mark II. A fully tilting touchscreen is also a great bonus on a full-frame camera, so it’s nice to see the inclusion here. Canon has produced a range of lenses to fit the new RF-mount, from wide-angle to zoom. Currently, there is the 35mm f/1.8 Macro IS STM, 50mm f/1.2 L USM, 24-105mm f/4 L IS and 28-70mm f/2 L USM. The idea of the new lens range is to balance compact design with better optics. The other added benefit is also faster communication and greater data transfer between the camera body and lens. This will help with image stabilization and the Digital Lens Optimizer (DLO) engine. It makes sense to start this all new way of thinking when you consider the EF system is now 30 years old. AF points can be controlled initially by pressing the AF point button then controlling the left to right, up and down movement with the front and rear dials. You can set up the camera to use the four-way controller to dial in your AF point. You can also use the rear touchscreen for AF point selection. The rear M-Fn bar is new for the camera, which can be either tapped or swiped to access custom functions. The bar can basically act as two buttons or a swipe bar which initially can access preset functions or you can set up your own. You can access things like autofocus areas, ISO speeds, movie recording settings, and priority modes. This is one of those new features that will take a little getting used to, but once you get adept, this could end up being quite a useful feature if it doesn’t get in your way. The problem with this bar is that it’s usually where you rest your thumb, which means there are going to be some accidental presses or slides. At least it can be disabled if needed. The rest of the buttons’ locations are going to take a little time to get used to, but you can customize things to work as you want. You have to accept this camera as a new way Canon is doing things, so you have to go with the flow and put in the practice time. The camera accepts both LP-E6N and old-style LP-E6 batteries, but you’ll have to charge the old ones out of the camera. There is also a USB C socket for charging, but Canon is asking $190 for their PD-E1 USB version, meaning I’m going to be happy charging my batteries externally like I always have done. More hassle, but at least it’s free. There’s a lot of new design stuff on this camera, but how does this translate to image quality? The autofocus is extremely accurate and works well in low light. It’s not built to be lightning fast or to replace a 5D, but as the first mirrorless RF camera, it’s more of an idea of what’s to come than anything else. With more or less the same sensor as the 5D Mark IV, image quality in Raw is as you would expect – more or less the same, with noise levels at high ISO being similar. Images seem to be that bit sharper than you would find on the 6D Mark II or 5D Mark IV, especially with JPEG’s, which has been taken up a notch in camera and with the help of the sharper RF lens. Video at its highest covers 4K/30p but with a 1.83x crop. Dual Pixel AF is available and the new RF lens provides great sharpness. The camera can also output 10-bit 4:2:2 C-Log footage to HDMI. Although you won’t be shooting feature films on this, it could be a nice lightweight video solution to shoot everyday footage. If you consider price and sensor megapixels, currently the Canon EOS R is up against the Nikon Z6, Sony a7 III, Canon EOS 6D II, and Canon EOS 5D IV. All these are very capable cameras in the right hands, but the deciding factor will come down to budget, brand allegiance and if you ultimately want a more lightweight package. The RF design is also the sign of what’s to come, which means if you’re buying into the RF body and lens, you could, in theory, be future proofing yourself. The EOS R ushers in a new line of technology for Canon – new mounts, new lenses, no mirror, and some new body functions. There are a lot of pros and cons here, but you have to consider this camera as more than anything a stepping stone to what is to come. Some of the functionality like the M-Fn bar may need a rethink, but its overall a very functional and high-quality camera. It may also at this point not be the time to sell all your current lenses and bodies to swap over to the R, but it’s on its way to becoming something you may want in your arsenal. This camera will appeal to enthusiasts who like a mirrorless design with a full-frame sensor and those wanting the latest and greatest from Canon.